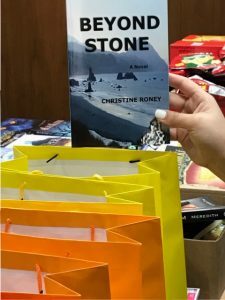 Beyond Stone Included In Swag Bags For The 2017 Emmys! September 17, 2017 / Christine / Comments Off on Beyond Stone Included In Swag Bags For The 2017 Emmys! I’m thrilled that my novel was chosen to go in swag bags for the Emmy Awards!